Last Thursday, President Muhammadu Buhari unveiled the international terminal of the Port Harcourt International Airport, Omagwa in Rivers, to usher in the opening of four more new airport terminals namely Kano, Abuja, Lagos and Enugu airports. The five new terminals have brought hope to Nigerian travellers and have also changed the landscape in the affected airports. For several years, no new terminals were built at the 22 airports under the management of the Federal Airports Authority of Nigeria (FAAN). So the new terminals would boost the country’s image in the comity of nations. During the unveiling of the terminal at the Port Harcourt airport, the Minister of State, Aviation, Hadi Sirika in his address explained that work started on the new terminal along with three others in Lagos, Abuja and Kano on February 14, 2014, and were funded through the China-Exim Bank loan of $500 million with $100 million counterpart fund facility. “The project was expected to be delivered within a period of two years. 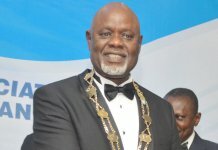 At this time, this administration came on board, the level of work was below 30 per cent and bedevilled with various technical challenges which included foundation design change, inaccessibility to apron, inadequate apron space, master plan distortion, water and sewage provision, litigation, inadequate power supply to mention a few,” Sirika said. He said President Buhari approved that the Ministry should go ahead and rectify all the discrepancies and subject it to due process. The minister said this was carried out as government approved a total of $461 million be sourced from China Exim Bank to complete the four projects. “However, this required $69.15 million counterpart funding. If we are able to source and pay the counterpart funding, we should be able to deliver the remaining projects shortly as they are all at advance state of completion,” Sikika explained. He said the Port Harcourt airport being the third busiest in the country is very important to the Nigerian economy because it served about 1,080, 284 passengers in 2017. Sirika said the old terminal which is undergoing rehabilitation, was unable to provide the requirements and space to handle such volume of passengers and that explained the current hardship faced by passengers, which he described as unacceptable. “It is therefore gladdening to state that a project conceived over five years ago is seeing the light of the day as the terminal in Port Harcourt is complete,” he said. The minister said the new terminal being commissioned has the capacity to process about seven million passengers annually, covering a space of approximately 28, 000m2 with 24 checking counters, three baggage collection carousels, 12 immigration desks at arrival, 16 immigration desk at departure, four security screening points, four passenger boarding gates and other facilities. Speaking before opening the terminal, President Buhari lamented that successive government abandoned the renewal of airport infrastructure since 1970s and 80s when there was burst of establishment of airport infrastructure. The facilities were allowed to decay and become outmoded. So over the years, passenger movement outstripped existing airport capacity, making expansion inevitable. “Following the large increase in the national population with consequent surge in air passenger traffic, the capacity of the airport terminals became woefully inadequate to cater for the increase in passenger traffic. “Although, palliative measures were periodically carried out, the facilities were fast giving-in to the effects of wear and tear. It therefore became necessary to take decisive action to ensure our terminals meet minimum international standards for the travelling public,” the President said. He said that his administration had to respond to global trend in which aviation became a catalyst for economic growth as a result of high growth air travel in the world. “At the presentation of the 2017 Budget to the National Assembly, I promised to upgrade and develop Nigeria’s transport, power and health infrastructure, and complete a number of stalled infrastructure projects. 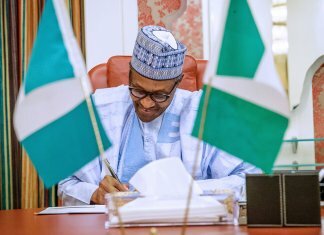 These include construction of new terminals at the country’s five major airports; numerous major road projects; key power transmission projects; and the completion of the Kaduna – Abuja as well as Itakpe to Warri Railway lines,” Buhari said. 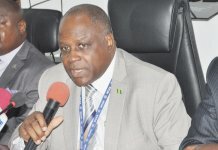 He said Nigeria has an advantageous central location within the sub-region and our desire to develop into a regional air transportation hub must upgrade its facilities to take advantage of its assets, noting that the recent decision by the federal government to remove Value Added Tax (VAT) from domestic air transportation is in line with global best practices. “This will make air travel more affordable and subsequently lead to the creation of jobs by the air transport service value chain as well as increase revenues for government. Today’s commissioning is an example of government’s deliberate policy to sustain the development of infrastructure for economic growth in all geo-political zones of the country,” the President also said. 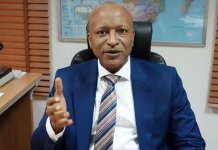 The Managing Director of FAAN, Saleh Dunoma in reaction to the establishment of the new terminals in Port Harcourt and other major airports in the country said that the federal government has reversed the negative comments about the Port Harcourt airport, which was once described as one of the works airport in the world, due to poor terminal facilities. So with the unveiling of state-of-the-art terminal, the image of the airport has been boosted. Dunoma, also noted that soon, all the other terminal would be put on stream as the new terminal at the Abuja airport has been cleared start operation. “What government did was to embark on this project and also embark on the remodelling of the domestic terminal. Passengers suffered and so we were on our toes to make sure these two projects were completed. Before there was an assessment by one group which we didn’t know saying that Port Harcourt is the worst airport. Today we want to answer them, let them come and inspect what we have done with the terminal. “I thank the government of this administration for the support because when they came in this project was at a very low-level of completion and today all the issues have been resolved and this project is ready for commission so we are seeing this morning that his Excellency President Mohammed Buhari will commission this building and we will start using it straight ahead and the international passengers are going to have a serious positive experience because you cannot compare the other facility with this new one. “This is of international standard and all facilities for international operations are provided. It’s a brand new terminal very efficient in design and it is of high-capacity, it is going to serve the people of this region for quite some time,” Dunoma said. The FAAN boss also explained that work was going on at the old terminal (local terminal), however, it is a bit slow. “Of course there are issues because it is not like this (new terminal) where you conceive and you start construction. We are combining operations with construction and sometimes the contractor is hindered because he cannot go full capacity because we have to accommodate our passengers. It is slow but we will get there, we are almost there. “We are also pushing but now that this is commissioned, by the time we move out the international operations here, then we will have a lot of space to work on at the other terminal,” he added. 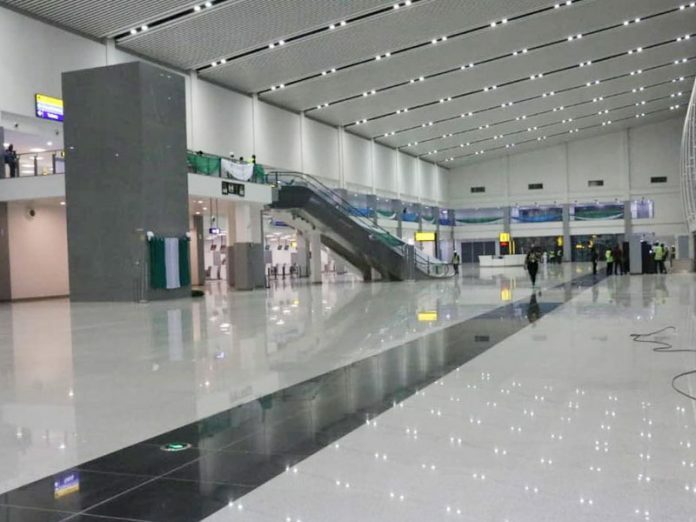 The new Port Harcourt International Airport Terminal building was built by CCECC Nigeria Limited at the contract sum of $111, 168, 752.55 and according to CCECC, 85 per cent of the contract sum from came from the Export-Import Bank of China “as a concessional loan”, while 15 per cent of the amount came as the counterpart funding from the government of Nigeria. The contract was signed on December 3, 2012 “but large scale construction commenced on March 1, 2014. The main structure includes the two-story terminal building, cargo terminal building, the apron, external works and other ancillary works,” CCECC explained. 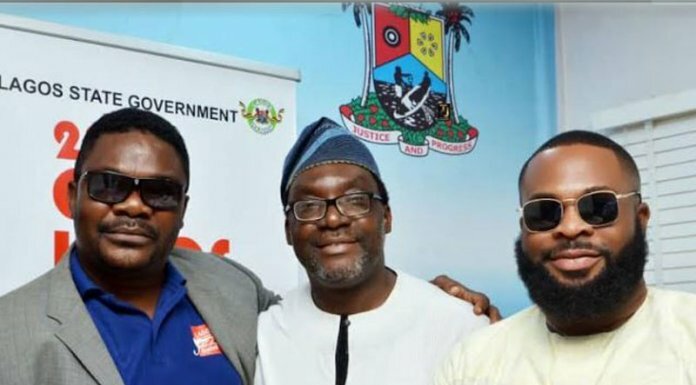 Recently in Lagos, Sirika reinforced the desire of the federal government to concession major airports in the country and said that all the major airports in Lagos, Abuja, Port Harcourt and Kano will be given out in concession. The minister, who was obviously piqued by the celebration of Accra airport new terminal opened recently by Nigerians, observed that many Nigerians have taken to the social media to celebrate the new terminal at the Kotoka International Airport, Accra, Ghana, but they did not know that the country has better airport terminal facilities in Port Harcourt, Kano, Abuja and Lagos. He, however, stressed that despite the building of the four facilities and additional one at the Akanu Ibiam International Airport, Enugu, government has realised that it cannot efficiently build and manage airport infrastructure, hence the decision to concession them. “This year before the end of this October, we would be opening the terminal in Port Harcourt which is ready even to the apron operations. We will also be opening the terminal in Abuja. They would be ready for operations. “There are many other terminals we will open. I am sure my friends in the media have not forgotten that the intent and purpose of this government regarding aviation is to concession these airports. We don’t believe that government can run these facilities and run them very well. 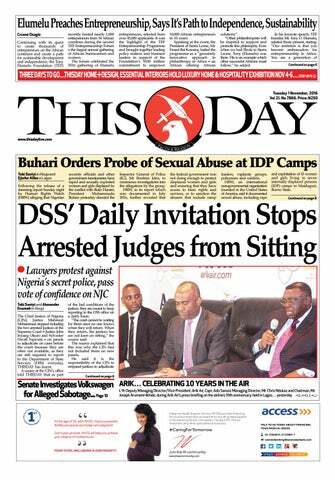 We must hand them over to the private sector,” he said. But industry experts are curious about how government would concession the airports while they already have concessionary agreement with the Chinese, who are expected to manage the new terminals and recoup their investment on the projects.